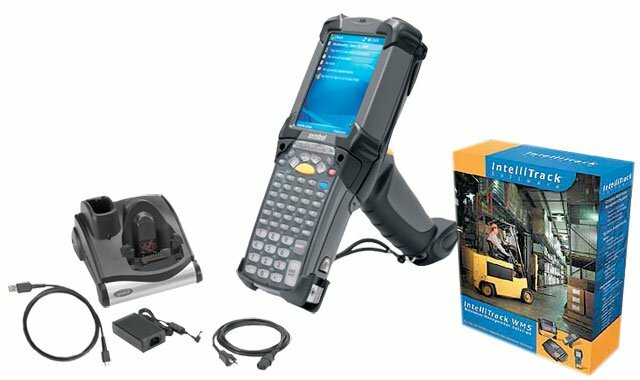 BCI Enterprise Warehouse Management - Includes a Motorola MC9090-G data terminal & accessories and IntelliTrack WMS RF Pro warehouse management software. This enterprise-grade warehouse management solution builds on the features of our Advanced Warehouse Management solution, and adds features like: cross dock notification, space management, sequenced pick & put away logic, wave picking, zone picking, and more! An optional plug in for QuickBooks integration is also available. The BCI ENTERPRISE-WAREHOUSE-MANAGEMENT-KIT is also known as ENTERPRISE-WAREHOUSE-MANAGEMENT-KIT	or ENTERPRISEWAREHOUSEMANAGEMENTKIT	.